Answer: Monty Python’s Flying Circus. 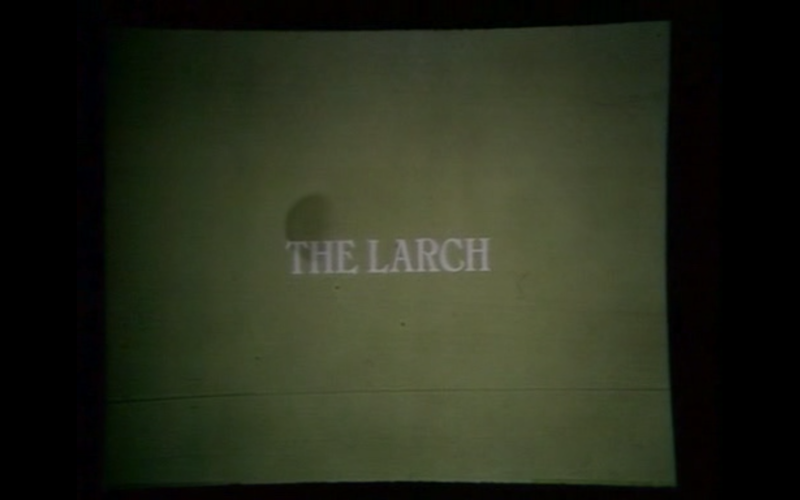 The Larch makes its appearance in an episode titled “How to recognise different types of trees from quite a long way away”. Other bits it falls between include a courtroom farce, bicycle repair man, and a rather confusing conversation consisting heavily of the words “nudge nudge”.